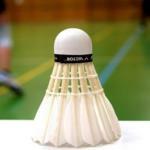 Badminton player Joachim Persson has been banned from all competitive tournaments for 18 months and cannot perform any function in badminton during that time. Persson a former world top 10 singles player from Denmark was found guilty of four violations of the Code of Conduct in Relation to Betting, Wagering and Irregular Match Results by the BWF’s independent Ethics Hearing Panel. Along with the suspenion he will also have to pay costs of $4,500. He briefly entered the world’s top 10 in October 2009 but just prior to his ban he was ranked at 348. The left handed 35 year old currently has 315 career wins to his name. Whether he decides to call time on his career following his suspension remains to be seen but given his age it must be a real possibility. Last year Malaysian players Tan Chun Seang and Zulfadli Zulkiffli were awarded bans of 15 and 20 years respectively for match-fixing. The governing body is determined to clean-up the sport prove of which can be seen in the lengths of bans being dished out to offenders.